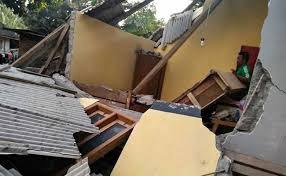 The death toll from a huge 6.9 magnitude earthquake in Indonesia's Lombok island has climbed to more than 320, officials said on Friday, even as relief efforts picked up pace. The national disaster mitigation agency said it had verified 321 deaths and that over 270,000 people had been forced to flee their homes because of a series of tremors over the past two weeks. On Thursday, the death toll from Sunday's quake jumped to 259. "Aid is being distributed as quickly as possible upon arrival," Sutopo Nugroho, spokesman for the agency said in a statement, adding that hundreds of volunteers were assisting the efforts. Mobile kitchens have started distributing much-needed food and water to thousands of evacuees in the worst-hit areas, he said, after several days' delay due to poor access and communications. President Joko Widodo on Friday said he was delaying plans to visit Lombok until next week, citing concerns over continuing aftershocks. "After the emergency period is over, the government will undertake rehabilitation, reconstruction, repairs to residential areas and public facilities," the cabinet secretariat website quoted Widodo as saying. Widodo visited the island after a 6.4 magnitude quake on July 29 killed 17 people and injured dozens more. The quakes have prompted tourists to flee during what is otherwise the peak season for the island destination famous for its beaches.